With effect from 1 January 2013, IATTO is offering an international professional designation to individuals involved in international trade who have met certain requirements. 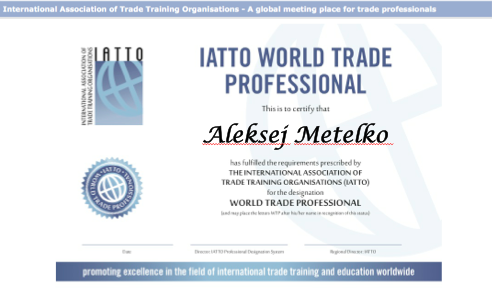 This designation, coded ‘WTP’ (standing for ‘World Trade Professional’) is the trade-marked property of IATTO and can be awarded only by IATTO to qualifying individuals. Such individuals should thus apply directly to the IATTO Secretariat for the status. 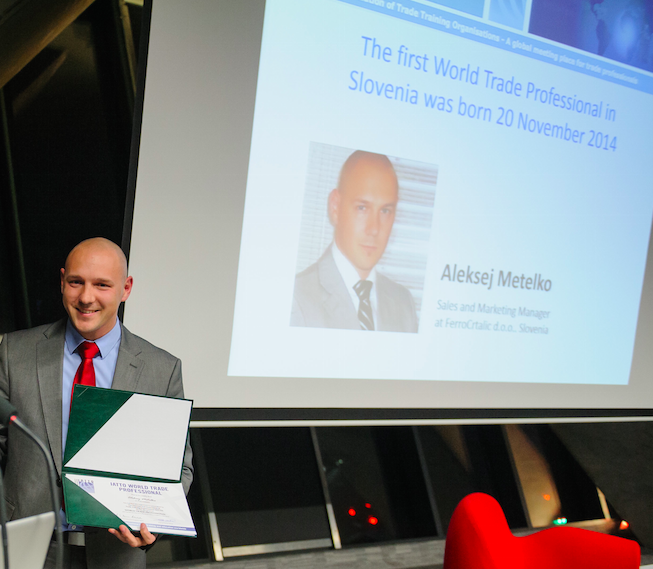 Who qualifies for the IATTO ‘World Trade Professional (WTP)’ designation? • Participates in a Continuing Professional Development (CPD) programme as outlined below. • the listing on the IATTO website of all those individuals to whom the designation has been awarded so that their status can be checked by any interested party (e.g. prospective employers, clients, etc.). • the creation on the Linked-in internet site of a ‘World Trade Professional (WTP)’ group which holders of the designation will be invited to join. Why apply for the IATTO ‘WTP’ designation ? 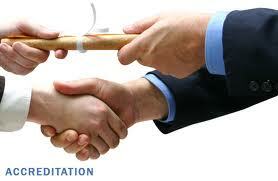 • It gives the designation holder a competitive advantage when applying for promotion. • As IATTO’s professional designation is recognised worldwide, the prospects of the holder finding appropriate employment in his own or other countries are greatly enhanced. • By stating the designation, ‘WTP’, after his/her name on a business card or curriculum vitae, the designation holder informs all with whom he transacts business of his current professional status/international trade expertise, thus enhancing his credibility. • Holders of the ‘World Trade Professional’ designation enjoy automatic membership of IATTO, with all its benefits, without having to pay additional fees. How does an individual retain his/her IATTO ‘WTP’ designation? The ‘WTP’ designation is initially valid for a period of three years after which the holder must submit evidence of Continuing Professional Development (CPD) (i.e. the currency of his/her related knowledge/skills) and pay an additional fee in order to retain the right to hold the designation. This renewal requirement ensures that all holders of the ‘WTP’ designation are active in international business. Should this procedure not be followed, the holder’s name will be removed from the IATTO register of world trade professionals. CPD is common to most professions. It has been defined as “a structured approach to ongoing learning that helps ensure the competence of an individual to practise his profession, taking into account knowledge, skills and practical experience. It can involve any relevant learning activity, whether formal and structured, or informal and self-directed”. Holders of the ‘WTP’ designation are required to keep themselves updated on global developments in international trade in order to remain at the cutting edge of their profession. This means that they must stay abreast of changes to international rules and regulations, international business-related contractual norms, global economic conditions, and any other occurrences that affect their ability to successfully engage in international business. CPD is demonstrated by the earning of Continuing Education Units (CEUs) by those holding a professional designation. The means by which CEUs are acquired is covered in detail in a separate IATTO document, ‘Guidelines for Continuing Professional Development’. What are the benefits to companies of employing individuals who hold the IATTO ‘WTP’ designation ? Employing individuals with the ‘WTP’ designation will contribute to a company’s better international business performance. It is also a reassurance that the employee concerned will be ethical, experienced and able to demonstrate excellent international business management skills which will provide his company with an improved business advantage. ‘World Trade Professionals’ have access to a worldwide network of trade professionals who could be available to their companies.